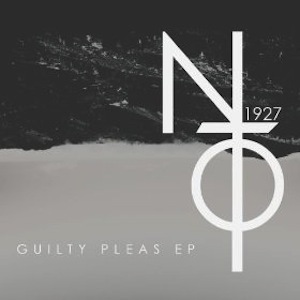 Night Terrors Of 1927 have been strangely quiet in the build-up to their debut five-track EP release Guilty Pleas. This becomes all the more mysterious when you learn the both members of the duo have a dignified indie-rock history – Jarrel Gorbel as Honorary Title vocalist and Blake Sennett as guitarist for both Rilo Kiley and The Elected – but then again, perhaps the Night Terror’s enigma is an attempt to step out from under the shadow of any preconceptions that their earlier music might cast. After all, Guilty Pleas is far from the indie rock and acoustic guitars of the pair’s earlier endeavors… rather, Night Terrors are stepping out into the territory of pure electronic pop. Opening track and single “Dust And Bones” pretty much sums up the duo’s style. That is, lofty tunes, fuzzy synthesizers and soaring vocals with a dark lyrical twist towards the apocalyptic. Following track “Never One To Complain” follows the same Passion Pit-at-the-end-of-the-world vein and the EP’s number three “Fall Into You” gets darker still, awash with menacing harmonies and eerie stretches of electric guitar in empty space. If you asked us, we’d have to admit to the opinion that fourth track “Young And Vicious” isn’t as strong as the rest of the EP. However, it has a slightly different more lively tone to the preceding tracks and so provides a welcome moment of respite. Livelier still is closing track “Smoke Signals,” fully embracing the catchy sing-along knack of electro-pop, but still with the off-kilter synth and melancholy lyrics that Night Terrors have made their calling card.